CSPA, Alappuzha, Kerala: Nirmal Antony, one of the best drummers in South India has been part of the professional music scene since 1992. Starting with the then popular rock band Wrenz, he has since then performed with the best musicians in India and abroad like 13 AD, Stephen Devassy, George Peter, Balabhaskar, Deepak Dev. He is also a supporter of the Tibet cause and is a campaigner of Friends of Tibet since its early days in. Life has come a full circle for him and his former band-mates, with Wrenz making a comeback in 2016. 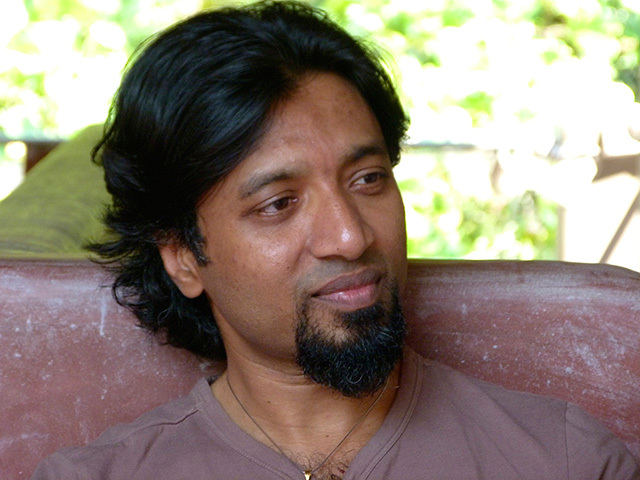 Wrenz made a comeback with performance in one of the popular music shows in Kerala — 'Music Mojo' screened in Kappa TV. As part of its performance, Wrenz played a song dedicated to the Tibet Cause — 'Friends of Tibet'. Yazin T Azad of Friends of Tibet Foundation for the Wellbeing spoke to Nirmal Antony discussing his life, love for music, spirituality and his association with the Tibet Cause and Friends of Tibet. Yazin T Azad: Can we start with a short introduction of yourself, who you are? What do you do? NA: I know this might sound like a cliché, but drumming is not just a profession for me, it is what I do out of love and passion. I did not purposely make this a profession, it just happened to me. I started drumming way back in 1978 when I was 7 to 8 years old and eventually my love for music drove me into making music my sole profession. I did not even get formally trained. I went to a particular school to learn bits of basic drumming. Then things just kept happening... it's not like I put in a lot of effort to become a drummer, no. I always feel that all good things which are meant to be real has to happen, You cannot make it. If you try to make it, it becomes artificial. If you try to make something out of you, that means you are trying to be something else that which you may not be meant to be. This is what my experience as well as my observation taught me. YA: Tell us a little bit about your childhood. NA: Like any other child, I was also influenced by people who talk about goals and ambitions. So I also thought, ok I will become a pilot. But, at one point of time I knew that I will never become a pilot (smiles). In reality I did not know, because in our culture everybody relates their life to their profession. I don't believe in that. Your profession is something that you do. It is not who you are. For example, now I am known as a drummer and lot of people like me because of that but they do not know who I am. They only interact with what they see on stage with drums. What if I am not able to play drums anymore? Then who am I? So these things started coming into my mind at a very young age. But in school and also in college I enjoyed the stardom my talent gave me. Right around 10th standard, I started thinking what should I do? What should I learn? Nothing excited me. The moment I got out of school and even during my school days, students used to come to me, we got together and we used to perform; it just happened. And it gave birth to a band. YA: What was the response of people around you? NA: I received a lot of encouragement and support from my father and my teachers. Because in the early 80s nobody actually knew what a drum is. Very few people knew. Probably I was the youngest person in Kerala who was into drumming. Every school had keyboard artist, singers etc. but they didn't have drummers. And my teacher used to teach in many schools. So he took me for performing drums at various venues...like schools and functions. I went along with the flow...and all of a sudden if I remember correctly I was member of the youngest rock band of 80s and we were featured in Doordarshan in 1985. I was never academically inclined and was hardly present in classes. My parents gave me the most support and I am thankful to them for that. They never forced me to doing anything. They said you concentrate on music. YA: What about your passion for drums? NA: I am a pretty good drummer (laughs). People seem to like what I do. I do not know what "Awesomeness" is. Because everyone has their own preference for the kind of music they like. If you don't compare with anything, every kind of music has its own unique space. The rest of it is what just comes out, when you make music in that moment. For many people it's like "awesome drumming" but most of the stages I am not satisfied because I have prefixed idea of the level of performance I want to give the audience which may not be the right way of doing things. Because you cannot control every aspect of what you do on stage. YA: How did Wrenz come into existence? NA: After school, there were couple of friends with me, Rony Philip and Biju James who asked me, why don't we go professional? I instantly said let's do it! I was so excited. For the sake of graduation, I did Bachelors in Economics. Music was my main focus. I got a chance to join one of the best colleges in Kochi, St Alberts, which promoted extra-curricular activities, especially music. This was when Wrenz took shape, this was in 1988. YA: Why was there a gap of 20 years before Wrenz reunited again? NA: In 1996, we had some social pressure. You may call it that. Because Wrenz is a rock band and we were into doing covers of other famous rock stars like Brayan Adams, Deep purple, Scorpions etc. Till 96 we had the best time. We used to do shows all over India. From 1996, for some reason the rock music scene started fading. So except me and a couple of other guys, everyone was forced to quit music due to financial constraints. I also thought for a little while whether to quit music. But my parents were supportive. There are ups and downs in everyone's life. Surprisingly within a short while, I joined 13AD which was one of the best bands in India at that time. After that it was beautiful journey working with so many wonderful musicians like Deepak Dev, George Peter, Stephen Devassy, Balabhaskar etc. I got the opportunity to travel around the world performing music. In between I got married and took up teaching drums in schools for survival (laughs). Then one day, Ronnie Philip, who was the lead singer for Wrenz called me and asked me why don't we do something together? When I checked, most of the other former members were still settled here. That's how Wrenz got back together. I stumbled upon spiritual nature of yoga and meditation around 1992. I had this great teacher named Nelson Diaz. I used to go into his room and question him on everything and started getting deeper into this. This was a time when Wrenz was very popular and I had the "star" status. Even though I enjoyed it, I was also under the social pressure of not knowing how to behave with strangers who are in the audience who look up to you. When lots of other people know you, you don't know them and they walk up to you wanting to talk to you, I did not know what to do. It was a state of confusion. Because when I am off stage, I used to be a shy and gloomy person. I even learned psychology to treat myself (laughs). So when I stumbled upon meditation, for the first time in my life, I started learning to accept myself and relax. This changed my life entirely. It gave me another dimension of life which complemented my music. YA: What sparked your association with Friends of Tibet? NA: I never even knew there was a country called Tibet. But whenever I see Tibetan people, something attracted me to them. There is a Tibetan community in Kochi also. And when travel around, I happened to see them I got kind of attracted to them, especially when I see Tibetan monks. Around that time, here and there, in TV, news etc., I started knowing that there is this man called His Holiness Dalai Lama and I also read about him. But I did not know anything else. I slowly started getting fascinated by him and started imitating him (laughs). For example, he used to wear this prayer bead, so I also started wearing it. Even then I did not know the political side of Tibet and the Chinese oppression. I was more fascinated by the esoteric side of Tibet. YA: So when did you start getting active in Friends of Tibet campaigns? NA: In early 2000, there was a friend of mine, Dr KS David, his daughter knew that I was interested in Tibetan teachings and His Holiness Dalai Lama. She said there is an associate of His Holiness in Kochi, named Sethu Das. Hearing this I was quite interested to meet him. My only intention was to meet His Holiness Dalai Lama and get access to Tibetan Buddhism. I thought Sethu was a spiritually inclined person and that is the reason he has access to His Holiness. When I met him, I said I am into meditation and fascinated by Tibetan spirituality. He said: "I am not interested in all these things (laughter). Yes, I know the Dalai Lama but we are a political organisation." That is when I came to know about Friends of Tibet. Its goal is to support Tibetan independence struggle. Then we started having conversations about the injustice being faced by Tibet and his own experiences interacting with the Tibetan community. I was especially moved by his story where he once met Tibetan monks who were victims of torture by the Chinese and body parts like tongues and toes were cut off. YA: What activities do you do as a part of Friends of Tibet? NA: Listening to Sethu Das and reading more about Tibet, I started getting concerned about the future of Tibet and its wonderful spiritual practices. If we do not work towards Tibetan freedom, all these could become extinct. So I started thinking, what I can do to help. I am not interested in politics. My main aim is to grow more spiritual and in that aspect I always look up to this country, Tibet. To preserve its rich spiritual heritage, Tibet has to get freedom from China. That is when I started being active in Friends of Tibet campaigns. Like me, there are millions of people who don't know that a nation by the name of Tibet exists. I wanted to spread awareness — at least that there is this country named Tibet which is peaceful and spiritual and is suffering from Chinese oppression. So I asked Sethu to design a head band symbolising Tibet to wear during my musical performances. After seeing this produced by Dorjee Lhamo from Dharamshala, people have started getting curious. I have been able to spread awareness in that way. YA: You met His Holiness the Dalai Lama a few times. Tell us about your experience. NA: Another intention of mine, when I met Sethu, was to meet His Holiness. But these many years, I have never been able to meet His Holiness in Dharamshala. 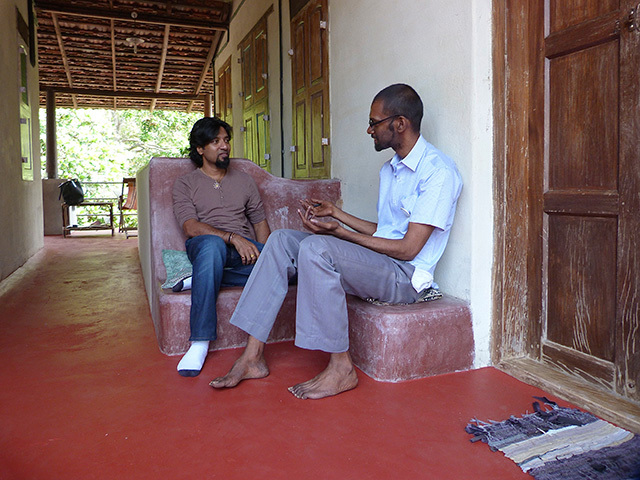 Every year during March Sethu used to ask me to come with him to Dharamshala. But circumstances have never let me. I even missed the chance to meet him when the Dalai Lama came down to Kochi in 2010. But I was sure, I will be able to meet him one day because this a genuine desire of mine and it will happen. Then one day Stephen Devassy had a performance during an award function Delhi. I was part of his band at that time. The award was given to His Holiness. It was attended by some of the top stars and businessmen of India. I was so thrilled because I was playing right in front of him. When he came on stage, we asked the organiser if we could meet him. And so we were allowed to talk to him for about five minutes. I stood there the entire time holding his hands. YA: How did you come up with the song "Friends of Tibet"? NA: From the time I started learning about the issues faced by Tibet, I told Sethu Das I wanted to do a song on Tibet. I was trying to get it done for the past few years but the other musicians who I was working had no idea of Tibet or they were not interested in the alternative spirituality. Even though everyone responded positively to the idea, there was no drive to get it done. Even when there was drive, somehow it did not happen. For example, after meeting His Holiness in Delhi, Stephen Devassy was so excited to do a song on Tibet. But it did not materialise. When Wrenz re-united, we were only doing cover songs. But when we got a chance to perform for 'Music Mojo', we were forced to create our own songs because of copyright issues. That is when I thought this is the right time. So we started composing tunes. All the others in the band were also excited about doing a song on a cause. I briefed the others in the band on the Tibet cause. I thought the lyrics of this song should be written by a Tibetan or a person who knows the issue in depth. So I asked Sethu if we could get some lyrics written. He sent us a couple of poems. Out of that we liked Eswar Anandan's poem — 'Paradise Named Tibet'. It kind of jelled with the tune we had in mind. That is how the song came into being. We are dedicating this song to the people of Tibet. YA: What are your future plans? NA: Other than doing music and concerts in general, we are looking at a point where we will be doing concerts and songs highlighting the Tibet issue. We would like these songs on Tibet to be hummable and popular so that the awareness will spread among people. YA: How do you see the Tibetan movement going forward? NA: This is a very difficult question to answer. Mainly because China is so strong, powerful and ruthless. We also don't have the support of most governments including Indian government. Most of the Tibet support groups, which is already a small minority, are non-violent. At this point I cannot say that only non-violence will work or that people who propose violence are wrong. You cannot completely justify both. Probably because I am spiritual person, what I feel in my heart is that the positive energy of Tibetan spirituality is more powerful than any weapon. This might take time but eventually I feel that this positive energy will make everything right and Tibet will be free. I hope and pray that Tibet comes back to its spiritual glory and make a huge positive impact in the world. If that happens, I feel that all violence that we see in the world now will reduce.